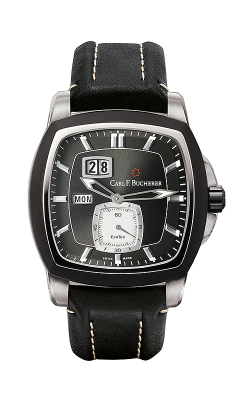 Established in the pastoral Swiss village of Lucerne, Carl F. Bucherer has been renowned for creating some of the most world's most exquisite, innovative, and stylish watches. 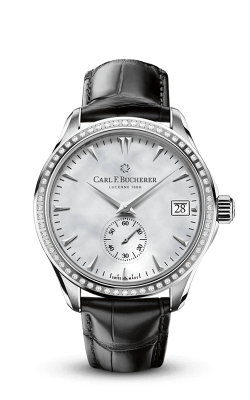 Family-owned and operated, the men's and women's timepieces of Carl F. Bucherer are made with only the finest materials, as well as an array of useful complications and precise subdials. Proud to be a part of this ongoing legacy, Costello Jewelry Company is honored to offer the customers of their Naperville and Glen Ellyn showrooms, an amazing selection of the most popular collections of Carl F. Bucherer Swiss timepieces available today. With one of the area's largest selection of authentic, top-quality, Swiss-made timepieces, Costello Jewelry Company is the source for the latest and greatest watches from the masters at Carl F. Bucherer. Popular Carl F. Bucherer pieces available at the Costello Jewelry Company include the models of the Patravi collections, such as the versatile ScubaTec, ChronoDate, AutoDate, and TravelTec lines, which are every bit as stylish as they are well-made and long-lasting. Further, the friendly staff at Costello Jewelry Company is thrilled to offer additional Carl F. Bucherer timepieces like the models of the BigDate collection that features 18-karat rose gold cases, and a wonderful array of genuine leather and precious metal bands. Finally, for the modern chic woman, come the watches of the diamond and gemstone-covered Diva and Queen women's collections by Carl F. Bucherer. Founded in 1979, Costello Jewelry Company is your source for nothing but the best in bridal and fine jewelry fashions. With two showrooms in Naperville and Glen Ellyn, Illinois, Costello Jewelry Company offers an unbeatable selection of Swiss-quality timepieces, as well as an array of engagement rings, wedding bands, loose diamonds, and fashion jewelry pieces. In addition to being an authorized retailer of Carl F. Bucherer, Costello Jewelry Company is honored to carry items from Tacori, Coast Diamonds, Simon G, Oscar Heyman, Raymond Weil, Maurice Lacroix, and many more. Additionally, ensuring a lifetime of satisfaction in every purchase, the knowledgeable staff at Costello Jewelry Company extends in-house jewelry repair, watch repair, appraisals, engravings, and pearl restringing services.